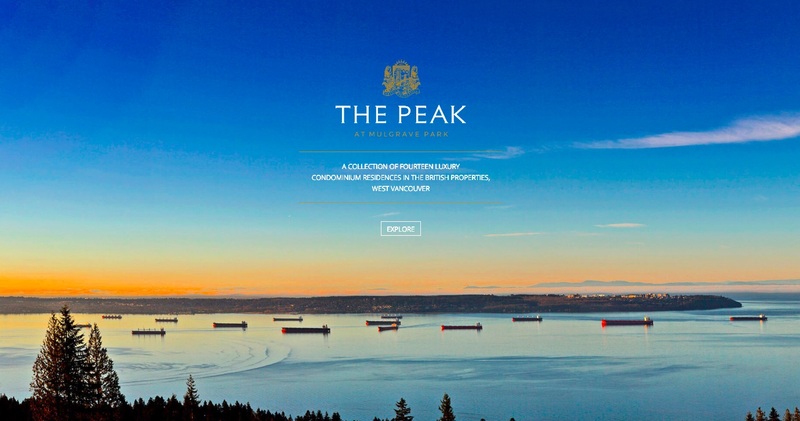 The Peak at Mulgrave Park is a condo development in the British Properties area of West Vancouver perched on the edge of a 10-acre wooded park. This will be one of the most sought after residences in Vancouver when completed, there will be no other penthouse like it. We love the fact this home sits at the doorstep of an incredible mountain, away from the noise of the city. You look back on the ocean and downtown, as you’re only a short drive in or head the other way and hit Whistler in 90 minutes or less. Left all alone on the market right now is the penthouse at The Peak at Mulgrave Park, ready for a new owner to call it home. You’ll enjoy incredible views of the ocean, Stanley Park and the city skyline all from your penthouse. Inside you’ll find three bedrooms and three full bath spread out just over 4,200 square feet of immaculately designed space. The British Pacific Properties team has decades of experience building some of the finest homes in the country, this won’t be your typical box and the design reminds me of the homes my friend builds in Beverly Hills. Open concept living lets you take advantage of those views, the breeze and all that flowing space inside and out. This is a penthouse built for entertaining whether it’s for just one guest, or all your friends and family. That open concept design will make for some of the most spectacular summer days and nights. Incredible finishes, a chef inspired kitchen and floor to ceiling windows to soak in that natural light. Each room built to enjoy those views while providing the utmost comfort and luxury. This a penthouse to be enjoyed, lived in and of course will be a smart investment as there really is nothing else like it here..well except for the only other penthouse in the development that is. The kitchen has been completely designed with the chef’s interests in mind. With beautifully tailored cabinetry and storage solutions by Bulthaup, appliances by Miele, natural stone countertops, and a state-of-the-art sink system by Kohler. You’ll find that the wine bar is not too far from here keeping the kitchen a focal point of entertaining and dining. The Peak At Mulgrave Park Penthouse is up for sale at $12,500,000 CAD with Robert Smith of Engel & Volkers West Vancouver. If you would like to talk to him about 602 – 2958 Burfield Place in the British Properties, you can give him a call via 778 379 1785 to learn more about the property.